Working with us you'll be at heart of the technological revolution of one the world's most trusted betting and gaming companies. We deal with projects ranging from widgets, desktop or mobile casinos and betting sites… just to name a few. We process 500 online Sportsbook bets per second each Saturday, that's the same as orders processed by Amazon UK, on its busiest day of the year. We deal with more than 20 million users and 160 terabytes of data daily. Impressed? You can be sure there are many more challenges waiting for you. 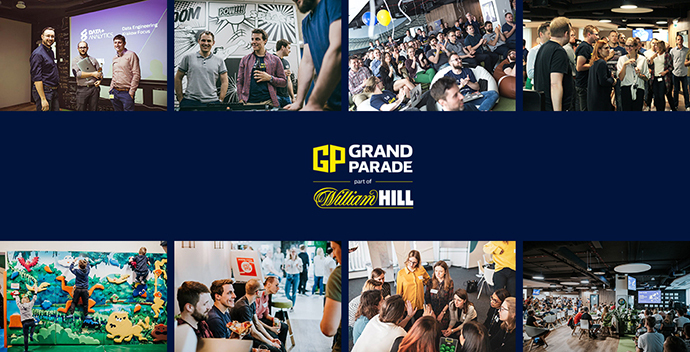 As an Enterprise Security Architect, you'll play an integral role in defining and assessing Grand Parade's security strategy, architecture and practices. We have a great tech stack and are embracing AWS globally. This is truly innovative enterprise scale technology. It will be up to you to advocate security requirements and objectives, while also ensuring that security architecture and practices do not infringe on the needs of the business. You'll effectively translate business objectives and risk management strategies into specific security processes enabled by security technologies and services. You'll co-ordinate with teams across the business, including Heads of our Technology channels in Poland, Gibraltar and the UK. You'll be part of a global InfoSec team, and there is plenty of room to build great relationships and find innovative solutions. This role could be a great development opportunity for an established Architect or Engineer who has some experience in Information Security. Our office sits on Kotlarska and our brilliant building has a range of different workspaces, hangouts and breakout areas to suit your every need. Situated in the centre of Krakow next to Vistula river - we're in the heart of one of the world's most iconic cities. There are parks everywhere, you can enjoy a walk along Planty, or go to Kościuszko Mound to admire the city from above. With plenty of culture on your doorstep, you'll be spoilt for choice. In fact, why not have a sneak peek around our office with Street View and see if you can picture yourself here.